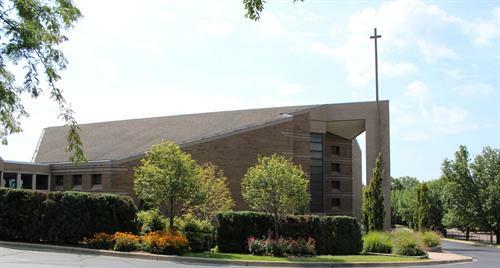 St. Paul's United Methodist Church invites you to visit and find your church home. Our mission is to develop disciples of Jesus Christ to minister to our community and to the world. We offer a variety of worship styles as well as many opportunities for mission, religious education, study and fellowship. On Sundays during the school year, we offer contemporary worship at 9 a.m., traditional worship at 11 a.m. in the Sanctuary, and a modern service at 11 a.m. in Hickey Hall. In the summer, we have outdoor worship at 8:30 a.m., traditional worship at 10 a.m. in the Sanctuary and a modern service at 10 a.m. in Hickey Hall. St. Paul’s United Methodist Church welcomes you to explore the many worship opportunities and activities our church community offers. Visit our website at stpaulsrochester.org to see all that is available. Drive north on Rochester Rd. from city center to Romeo St., across from Dairy Queen. Turn right onto Romeo St. and veer left at the traffic light. St. Paul's is on the right. Park in the south lot.